G.H.O.S.T Club SG: Expedition 8 - Sembawang Galore! Expedition 8 - Sembawang Galore! Expedition 8 takes us to the North Land of Singapore, to the area of Sembawang! Sembawang is actually a place riddled with history and flavor, as the earliest record of Sembawang can be found in a map by Franklin and Jackson named "Plan of Singapore" dating back to 1830. The stretch of Sembawang Road of today is said to be named after the sembawang tree, kayae ferruginea. Sembawang road was officially constructed in 1930 as a transport means from the naval bases at Sembawang Shipyard. 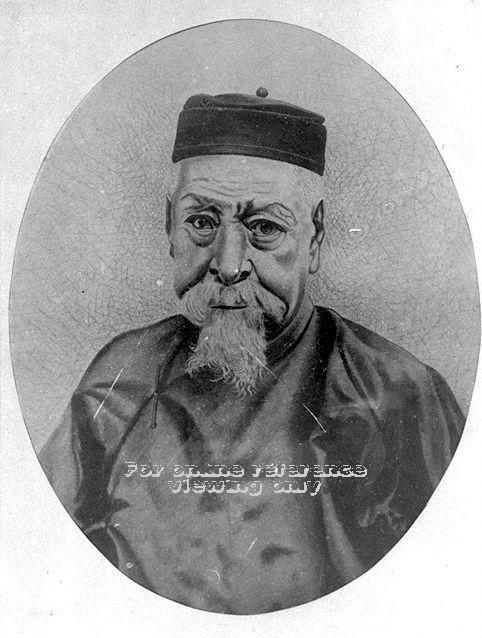 From then on, several prominent wealthy businessmen started to take over the land around Sembawang Road, including Seah Eu Chin a prominent gambier who was dubbed the "King of Gambier", and Lim Nee Soon, an illustrious and wealthy rubber and pineapple planter who subsequently built a row of shophouses along Sembawang Road and had his Nee Soon Rubber Estate in the area. Sembawang is also home to many interesting houses and architecture, including the Beaulieu House, believed to be built in 1910 and owned by prominent businessman J.B David of the mining business. Today, it is a nice rustic restaurant serving asian and western fare food. 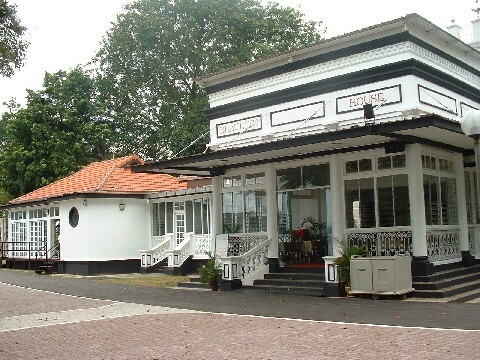 Beaulieu House, located at Sembawang Park - a charming romantic place for a meal! Just before the Japanese Occupation of Singapore, the naval and army bases near Sembawang, including the Sembawang Jetty, were torched and purposely damaged by the British Forces so that the Japanese will not be able to make use of the facilities. 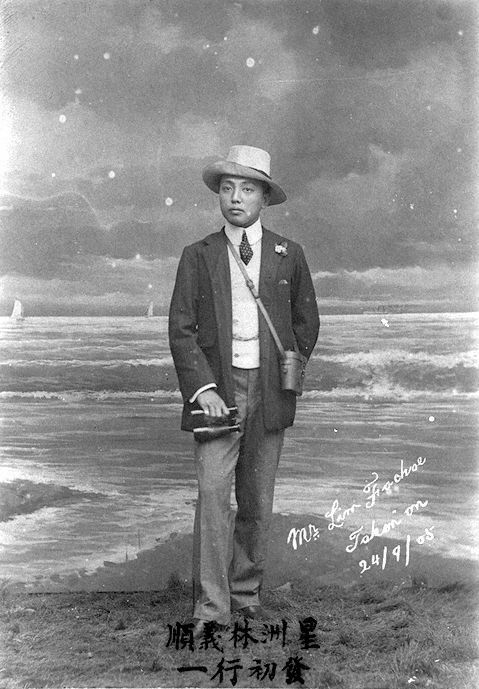 However, the Japanese still made use of the premises when they took over control of Singapore. Sembawang Park is also the sight of Mass Execution during the Japanese Occupation, and many horror stories of death and pain still linger around the area. Sembawang Park is also home to Pontianaks, according to sources and everyday people who have encountered many experiences there. Sembawang Road was also known for one of the worst fires in Singapore history back in 1953 when a row of shophouses caught fire and made 500 people homeless and damage of up to $300,000 were recorded. Back then $300,000 was worth alot. 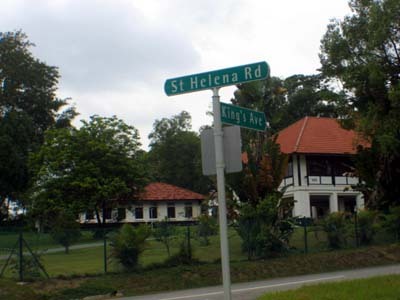 Sembawang is also known to house New Zealand troops, who stayed in the colonial and bungalow houses up till the late 1980s. Well, with all the flavours as well as history of Sembawang, Expedition 8 has to definitely start with some good food for the team! We ate dinner at another wonderful little restaurant tucked in between private houses. Called "Buckaroo", this restaurant serves great western fare! Other than its yummy Range Nanchos, they also serve their killer spicy wings. We ordered burgers to go along it, and it was indeed a meal fit for a long night out for GHOST Club SG!﻿ Halfway through our dinner, it started to pour. Thunder roared and lightning flashed. Is this a little omen for us on things to come? Could it be a little sign to warn us against conducting our investigation? After dinner at about 8 plus, the rain subsided. We got into our vehicle and wanted to explore Wak Hassan Drive, a little quiet one way road just around where Buckaroo is. Wak Hassan is acutally one of Singapore's oldest and most resilient kampung. It was still existing until the late 1980s at this site. However, just as we could start the car, it started to rain again. It forced us to have to do the investigation in the car. Our drive through investigation yielded nothing and we decided to head on to check out a haunted playground near Springside Walk. At this location, Agent Max felt a sense of dark heaviness when he was walking past this sight one night after work. He mentioned how the dogs were barking, and howling, as he made his way past this park in the wee hours of the morning. He didn't like it at all. Time is about 10+, still pretty early, but already the park looked dark. Our next location takes us to explore a few abandoned buildings that Agent Max has also chanced upon while driving his clients back. These 2 locations are around Sembawang. They are acutally very prominent as they are located just beside main roads and yet look quite strangely abandoned and left vacant. This brings to mind our previous article on strange abandoned and vacant buildings. What and why are these buildings left vacant? The rational mind of course says that these buildings could be awaiting for redevelopment, or they could be left there for the land price to grow before something is done to them, but as paranormal explorers we also like to investigate to see if there are any ghostly incidents that might have made these places the way they are today. While the first abandoned building looks pretty normal and uneventful, the second abandoned building looks pretty interesting, and after researching, yielded some intriguing details! This second building looks pretty majestic and definitely abandoned from the outside. The place looks a little run down, though the building looks new. These pictures of the second place that we were at was interesting because we initially had no idea what this place is or what it used to be. Initially we thought it was some NEA office as the front gate had the letters NEA clearly seen. But it was not until we saw the faded out words of the place that we realized what it really is. The words NESSEA Club can be clearly seen on the wall beside the main gate. What is the NESSEA Club all about and what does it do? Investigations revealed that it is a pretty cheap club with cheap membership, unlike the more established clubs. This one does not have any golf course and it looks like an ordinary club, something like what SAFRA Club is. SINGAPORE: A recalcitrant offender who brought her then-10-year-old daughter along to commit burglary was sentenced on Tuesday to 26 months' jail. Thirty-one-year-old Ng Bee Hong also had a habit of stealing from her employers, one of whom became her victim on her first day of work. Ng had been fined S$4,000 in January 2008 for theft. She was later sentenced to 28 months' jail in October, that year, for offences including housebreaking and criminal breach of trust. In this latest case, Ng had her daughter by her side when she broke into her former workplace, the Nessea Club at Upper Thomson Road, on October 30, last year. Ng, who used to be one of its cashiers, arrived there at around 12.30am, after it closed for the day. The court heard that she used a hammer to break open a wooden door to the club's main office before asking her daughter to slip on a pair of gloves that she had brought along with them. The girl did as she was told and the pair entered the office. Ng asked her daughter to take a key from a cupboard and used it to unlock a drawer containing another set of keys. Ng took these keys and used them to enter the club's jackpot room. Once inside, she helped herself to several bowls of coins from a jackpot machine and also used the keys to unlock a safe in the room. Ng managed to steal cash totalling more that S$11,000 from the club before fleeing the scene with her daughter. In addition to this, the divorcee, who is currently expecting another child, had also misappropriated some S$6,000 dollars of the club's money for her own use, on her first day of work. Ng, who is also suffering from third-stage kidney cancer, committed this offence on October 1, last year. The petite, fair complexioned woman had also stolen more than S$600 in cash just days earlier on September 23 while working as a cashier at Greenbegger Supermarket at Geylang Road. Ng, who is unrepresented, pleaded guilty to three of five charges earlier on March 9, this year. Before handing out the sentence, Senior District Judge See Kee Oon said that she had committed serious offences and she did so shortly after her release from jail. Ng and her daughter were arrested on November 1, 2010 but no further action will be taken against the girl. The youngster is currently staying with her father. Could this Club have gone busted after the money had been stolen? Could it not have recovered after this big piece of negative news and succumbed to fold? The fact that the incident happened sometime in October 2010 seem to suggest that this club had only recently closed for good. The behind of the club looks pretty run down and old. A few lonely trees stand at the side of this space, possibly used to be a little carpark or some sort. All is very quiet as we try to look around and spot any strange activity or sounds. The fences and barbed wire are clear signs that this place still belongs to someone and with that, we decided not to investigate the inside. We respect our boundaries. 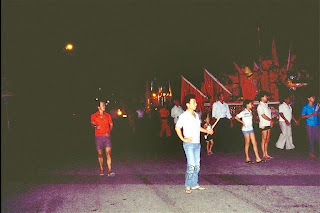 However, we carried on to explore the area from the outside, and looking at an unlocked mail box just beside the wall, we chanced upon a letter in the letter box and it had the words "NESSEA Investment Pte Ltd'. Seems like this company may be some sort of an investment business. Checks online found that NESSEA Investment is currently located at 1, North Bridge Road. But nothing else is really found about NESSEA, leading us to a slightly dubious conclusion on what the company really is. Two old ball of lights were located outside on the walls surrounding the club. One is algae-filled and old, the other is broken and badly damaged. It is amazing how run down things get after like half a year of non maintenance. This place can easily pass off as being abandoned for a couple of years. There is a canal beside the NESSEA Club, although the canal looks kind of stuck and also thickened with some sort of sewage or dirt. The stuck water flow could also be a symbolic representation of NESSEA Club status of being abandoned, stuck and left to rot, made especially so by Chinese superstition that water represents money and energy, and if it is stuck, it represents bankruptcy or failure. And finally as we explored the place for about half an hour, we concluded that this abandoned building, other than its intriguing tales of crime and misappropriation of money, is nothing really paranormal. Hence, this place is debunked. Next, we travelled a little down to this area called Ulu Sembawang. The word Ulu which means deserted and remote, always draws some paranormal link to whichever the place is, simply because of its 'remote-ness'. Hence, we decided to explore there a little. Ulu Sembawang has a little stretch of road that we wondered leads to where. There is a little barricade that stops vehicles from entering, and from the outside, it looks really dark and heavy inside. Immediately after we started taking pictures, a big bright orb (pic below) seem to be coming towards us and welcoming us to its house! The walk in, without torch, would be absolutely dark. It is a stone path that leads to somewhere, somewhere that we do not know what it is. It is intriguing walking into the unknown, and not knowing what may come towards you! We see more trees and orbs, as well as some stains on the grounds which we are walking. Not sure what those stains might be, but they look permanent. Suddenly, a few metres ahead of us, something blocked our path! It is a tractor! It seems kind of stuck in the mud, and obviously someone is very determined not to let people or vehicles pass through. It is as if the big barrier in the beginning is not enough, the people who are doing whatever they are doing here want to really block out their 'work' away from everyone! We wonder what that work might be. Undetered by the tractor blocking our way or the intentions of the people who might want to tell us not to go in, we walked in. There isn't any signs or fences, so it was free to explore. We continued walking in, and the more we walked in the more we feel slightly heavier. The deeper part of the place seems to be like a little clearing of some sort, we kind of wonder if there could be the possibility of this place being some sort of execution grounds during WWII, as it does look pretty old, disused and funnily situated on a slight slope. The place grew in darkness and heaviness, as we continued walking in deeper and deeper. We found some interesting metal pieces lying around, signs of some sort of construction, but still no less telling us what this place is or what its history was. And as we walked into the deepest part of the place, again it looks like some sort of clearing and stains were again on the grounds. All was quiet and we decided that this place was a good place to start some of our questionings. We asked simple questions like "Is there anyone here with us today?" and "Tell us your name". Immediately it seemed like some curious spirits started to come down from the trees and respond to our questions. 2 distinct orbs were captured and while many people contest to orbs being dust and reflection of flash, we do not want to take it as 'confirmed' paranormal. We continued asking our questions. More orbs seem to appear and come towards us, as we did our EMF sweep of the surrounding places. The conclusion to Ulu Sembawang is that there could be a strong possibility of some sort of underground cable being laid and this caused the EMF detector to have a reading. The consistent reading is strong evidence of something that is 'there', rather than some paranormal phenomenon because for ghost sightings, the spikes are erratic and not consistent. These stone gravel roads are again man made and this leads to an even greater possibility that before the ground was laid, some sort of power cable had been placed inside it. There are also signs of dump and rubbish here, leading us to believe that there is definitely more human activity here than paranormal activity. More clues telling us that there is actually quite alot of constuction work going on at this area, and it looks pretty heavy duty as well. No doubt, this place is debunked to be not haunted. And next, we head on to a little park that overlooks the beautiful straits of Malaysia. This is also the site in which there were several reports of hauntings. One of our explorations, we saw this cute little black cat that was in the area and we suddenly noticed that the cat is looking and staring into 'something' just beside us. It was a very strange look on the cat and one of us said, "Let's go". This place is indeed very peaceful and quiet. But as we walked into the park, we saw quite a few groups of foreign workers gathering, some fishing, some camping and some just chit chatting. Today, the feeling and mood felt relaxed and light. Perhaps the many people around added to the Yang energy. The other time when we had the experience, there was absolutely no one at all, but us. Walking around the park, we concluded that at least for today, there isn't any paranormal activity that we can capture on tape or on video. Somehow, these things always do not show up when we are well equipped. Finally, we ended our exploration of Sembawang by visiting a little park near Republic Polytechic. This particular place is not Sembawang but we thought we could go explore, as Agent Max had mentioned of this place having a certain paranormal potential at night. This park is pretty dark at night too. Well, most parks will be dark at night. The air was moist and humind as we walked into the park. Gravel road greeted us again as we trekked inside the park. A long, dark bridge greeted us. This bridge connects one side of the park to the other side. We walked through it and tried to observe what is on the sides of the bridge. A slow moving stream flows through. We captured photos of the stream, and opened our eyes to any suspicious activities or shadows along the banks of the steam. Nothing much is felt, but it certainly looked dark. In the background, crickets sound echoed in full chorus. We proceeded on to walk through the rest of the park. This park is full of interesting plants, fauna and flora. It is certainly a nice place to explore nature or take a stroll in daytime, but certainly not at night. It is pitch dark without the lights we have from our torches. Some of the plants have whitish leaves and in dark, they may look like many white 'ghosts' standing along the side of the foot path cheering us on! Well, thankfully we were not over frightened by them! Trees of different lengths and bushes of different shapes and sizes adore the sides of the pathway, and in the picture above, a little bright orb seems to be moving towards us. We tried asking some questions, but did not receive any response or felt anything suspicious. We proceeded on. An old wooden sign greets us at the side of a pathway. It is strangely empty and nothing is on it. A sign board being yanked out? Maybe. Walking along the path, we were then greeted by a split in the roads. Left? or Right? Right, we say, because it is the right way to go. We walked along the right side of the path and suddenly, to our right, we saw this huge white mass! We stopped and froze. Is it an elephant ghost? A dinosaur ghost? In this picture, you can make out the huge mass that we saw from afar. Without torch, it stands out in a really spooky and suspicous manner. What is it?! More shots and angle of the supposedly white unexplained mass. Of course upon rationalization, we feel it is probably some sort of plant, but we wondered what kind of plant has such a big mass of neither branches or leaves. Unable to ascertain the tree type, but debunking any paranormal activity, we moved on. More trees, more whitish leaves, but nothing paranormal here. It is all quiet and peaceful as we explored the entire park. This park eventually leads to Woodlands Waterfront, the new park built under the Park Connector Scheme. The walk and trek took about 45 minutes and through the humid and moist walk, we perspired alot and it was kinda tiring! Well, that's the good thing of our explorations - it is not only thrilling at times, it is also pretty healthy considering the amount of exercise we do! And rounding off our exploration, we reflect on the experiences that we have had today through the different places and spots that we had investigated. There were several interesting stories and research, but none of the places that we have explored today made us feel that there is any weird or unexplained paranormal phenomenon at all. Hence, we are quite determined to say that the exploration of Sembawang drew up a blank for this exploration. But of course, like all our paranormal expeditions, it has been a fun, healthy and nice little outing we had, and of course the company of each other, the food and the catching up made Expedition 8 a worthwhile trip! Your account is interesting and well researched. Well done!